Uber and Lyft Are Back. Here’s What That Means for Austin. If you’ve checked your Uber app in the last 24 hours, you’ve probably noticed something different: namely, that it actually works again. Thanks to House Bill 100, which was signed into law on Monday, both Uber and Lyft have returned to Austin after a year-long shutdown. This is good news… right? If you can’t remember what got this ball rolling, it all goes back to a vote that forced Uber and Lyft to comply with new regulations for fingerprinting drivers. Both companies felt that fingerprint-based background checks were too costly and slow, and ultimately hurt their ability to attract new drivers; once those checks became law in Austin, the two biggest ride-sharing companies immediately pulled their services from the city. The abrupt blackout left a lot of people in the lurch, and it’s something Uber recently apologized for in an open letter to Austin. Of course, plenty of Uber/Lyft alternatives sprang up to fill the ensuing power vacuum. While some were more successful than others, the fiasco at SXSW (which saw two of the most popular apps get overloaded by heavy demand) showed there was still a lot of room for improvement. Now, barely a year after they left, Uber and Lyft have triumphantly come back on the scene thanks to HB 100. The new bill essentially rolls back local regulation of ride-hailing services, with less stringent third-party background checks replacing the controversial fingerprinting system. Drivers won’t be required to use stickers indicating which service is providing the ride, either, which means you’ll still be asking “wait, is that my car?” every time a black Nissan Altima drives past. Is the return of the industry giants a good thing? We spoke to two drivers for Fasten, arguably Austin’s most popular alternative app, both of whom seemed cautiously optimistic ahead of the official return this week. One pointed to the superiority of Lyft’s algorithm, claiming that it connected him with nearby fares more frequently than the competitors (which often routed him to riders up to 10 minutes away). 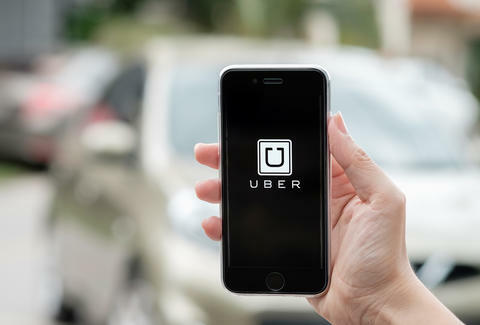 The other driver we spoke with expressed hopes that the reentry of Uber and Lyft to the Austin market would increase competition and improvement across all the apps, given the advantages offered by some of the newcomers. For instance, Fasten (and others) forego surge pricing and instead offer customers the option to add incentive dollars to their pickup, making them more attractive to nearby drivers. Both drivers indicated that they’d be going where the money is once Uber and Lyft returned, so it may ultimately come down to this: Will Austinites stick by their favorite local apps this summer? Or, will the majority of drivers end up shifting back to Uber and Lyft, effectively forcing riders to follow suit if they want reliable service? Only time will tell. Gianni Jaccoma is Thrillist’s Austin editor, and he’s loyal to whichever service gives him the best promo codes. Follow him on Twitter @gjaccoma.